I don't know a lot about Rift, but I do know a lot about corgis. The world's most perfect animal will be making an appearance in one of the scheduled events for the Rift Extra Life marathon for the Children's Hospital Network. Rift Junkies says that this event will close something called a "Corgi Rift," and will have players giving treats to "royal Corgis." And if this didn't sound amazing enough to corgi fans, the achievement for doing this gives the suffix "of House Fluffington." 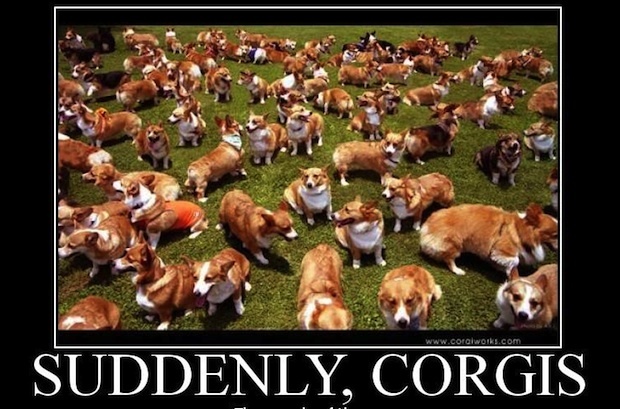 Trion even made a reference to a popular corgi meme, "Suddenly Corgis." The Extra Life Marathon starts on October 20th at 8pm. Details on how players can access these Extra Life events will come soon.